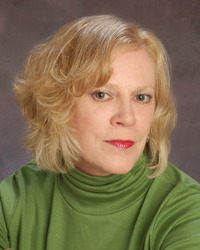 Please welcome to Book Flame Diana Greenwood author of Insight! 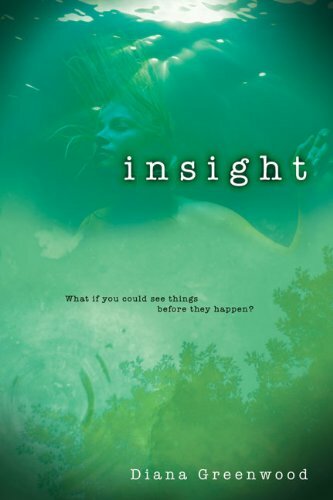 What inspired you to write Insight? Insight began as a spark of an idea when I heard the first few lines in Elvira’s voice. Writers say this all the time but it’s actually true. I knew right away that she was in a rural setting, a baby was about to be born, and that the bulk of the story would be post WWII. To show how ideas combine, my mother’s brother, Clifford Rasmussen, was killed in WWII, Royal Canadian Navy, Seaman First Class. His ship was torpedoed and all crew lost at sea. There is a family story I heard growing up that always gave me shivers. One night my grandmother sat up in bed in the middle of the night, awakened by a flash of light and a loud noise. She felt as though she were swaying, woozy. She glanced at her bedside clock and the green illuminated hands showed 2:00 a.m. This, according to the family story, was the exact day and time her son’s boat was torpedoed. Weeks after my grandmother’s sleepless night, the uncle I never met was declared missing in action. I still have the telegram. My grandmother’s faith got her through that loss but I always wondered how it felt to lose someone so young and vital, someone missing in action forever. So those first few lines in Elvira’s voice led to the seed of the idea, mixed with that family detail, although much altered, and Insight was born. From there, the characters led the story and I let them do what they needed to do. First and foremost, reading fiction is entertainment and a good story should stay in your heart because you enjoyed it and if there was something just for you on those pages, then that’s a bonus. I have always said that Insight is a love story that shows the depth, insecurities, misunderstandings, and joy of all kinds of love, including the love of God. Love is not perfection. Love just is. I think there’s a little bit of me in all of them. I’ve been lonely like Elvira, had moments of clarity like Jessie (although not in a “seeing” way), and struggled to understand aspects of life as Connie does. I’ve had impatient feelings as Grandma portrays in the story and I’ve felt the hand of God urging me on as the preacher does. That said, the story is complete fiction. I believe that writers use bits and pieces of human nature picked up from every acquaintance; habits, quirks, beliefs, philosophies, and personality characteristics encountered. What character intrigued you the most as the author? And why? I think I was most intrigued by Jessie as she developed and as her seeing capabilities came to light. I needed her to be sweet and likeable and believable yet also become an object of internal conflict for Elvira, through no fault of her own. Jessie is such a strong character I had to be careful that she didn’t take over the story so she was probably the most difficult to write. Do you have any novels in the works? Goals for future projects? I’m currently working on two projects; another historical fiction called Three-Penny Poet where the main character in the untamed Chicago of 1933 is forced to confront mental illness in his family, and a futuristic YA that explores faith in a skeptical world. In the future I’d like to switch gears and work on contemporary humor for middle grade, which I expect will appeal to my sarcastic side. If you could co-author a book with any author who would it be? This is such a difficult question because there are so many authors I admire. To name just a few: Richard Peck, Gary Schmidt, Jennifer Donnelly, Lois Lowry, Jane Yolen, Gary Paulsen, Sharon Creech, Karen Cushman, and Katherine Paterson. And seven thousand others. Each of these authors has done so much for children’s literature. Right now, though, I think I’d have to say Newbery Honor author, Kirby Larson. Not only is she one of the most pleasant individuals on the planet, she is an amazing writer and her research for historical fiction is impeccable. Plus we both like mocha lattes. If you could travel back in time and meet yourself as a 10 year old what advice would you give her? If you could live in any book which one would it be? Inkheart by Cornelia Funke. I love Meggie and I really want to see those fairies. Thank you for stopping by Book Flame. Post a comment answering this question:If you were given the choice to have the ability to see into the future would you embrace it or say no thanks...? I would say no thanks. It just seems like it would make my life so much more complicated. There's goods and bads to seeing the future, kinda in the same way as being able to change the past. There are things we would want to see and things we wouldn't want to see. And if we did get information from the future, wouldn't we use it to change would what become the past of that future? What a conundrum. lol I don't think I would want to see the future, even though it would be great to get some lotto numbers! No thanks! I like the excitement of never knowing what's around the corner. I would love to see into the future -- I think it would allow me to make better decisions :) *Thanks* for the giveaway! This book seems really good- and even better because it's set in my state! haha. To answer the question, I'd have to say yes. I don't want to be blindsided. I've dealt with some really terrible things so far...it would have been a little better if I'd seen them coming. I don't always like surprises, especially if they're bad ones. I would totally embrace my gift but I believe it bares consequences and I'm ready for that! If you were given the choice to have the ability to see into the future would you embrace it or say no thanks...? Only yes if I can change the future if I don't like what I see !! I think I would pass on that. Way too much trouble. I think I would say no thanks...it seems to be a burden to many who can. You know what? I think I would definitely like to see a little bit of the future. But I'd have to be careful with that gift and use it wisely. I DO NOT like surprises! I would love to know the future...it would be a burden only if I let it be one. Wow...I can honestly say that no, I would NOT want to be able to see into the future...too scary! I also follow via twitter. I 'liked' this blog on facebook. I would love to see in the future, that'd be fantastic! I'd have to say no thanks. What I learned in the future would worry me too much. I think I would embrace it, especially if it meant I could prevent some deaths, sickness or disasters. It would be a challenge and would probably come with a price but I think the good woudl outweigh the bad. Even though I would be able to predict bad things and stop them from happening, I think I would pass. That is way too much stress and responsibility for me! Difficult question. I wouldn't mind seeing somethings...like my great grandchildren. But I wouldn't want to see the major milestones I'd be here to see...Those are best left as surprises in my opinion. But if I could use the foresight to save someone I love, then maybe...Loaded question. lol.